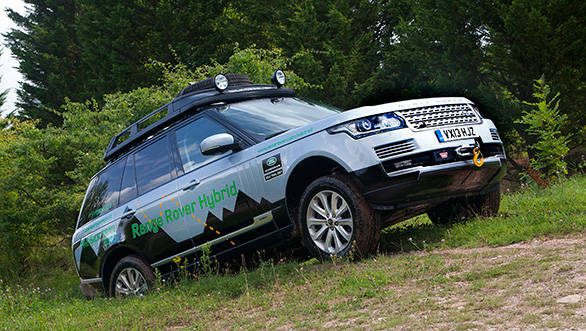 Land Rover has launched its hybrid range of vehicles in the Ranger Rover Hybrid and the Range Rover Sport Hybrid. 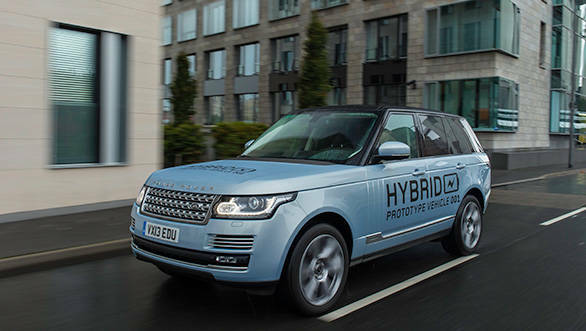 Together they are Land Rover's first ever hybrids and the world's first premium diesel SUV hybrid. Before the motor show in Frankfurt we got a chance to drive them to see what all the fuss was about. But first let's look at what has changed. The Range Rover Hybrid will use the 3-litre SDV6 diesel engine coupled to a 35kW electric motor sending power to the wheels via an eight-speed ZF automatic gearbox. The electric motor boosts torque by 170Nm and is powered by a lithium ion battery pack that is completely sealed. A boron steel casing completely protects it from the elements ensuring that off-road capability and versatility is not compromised. The current generation Range Rovers were designed with a hybrid system in mind. So, it is not surprising that the new system integrates so seamlessly leaving the interior and exterior dimensions unchanged. 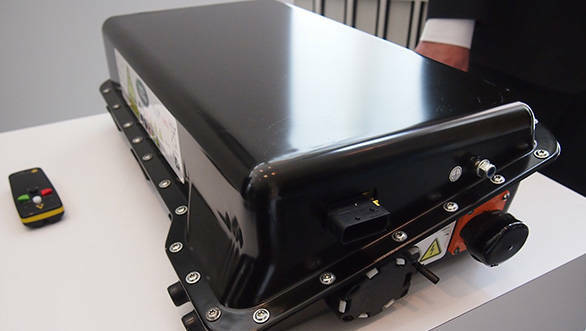 The only change is the increase in kerb weight by 120kg, which is the combined weight of the battery pack, inverter and the electric motor. Together, output of the diesel engine and electric motor is 340PS at 4000rpm and 700Nm between 1500-3000rpm identical figures to the 4.4-litre diesel V8 motor with 26 per cent less emissions. Stepping into the Range Rover Hybrid, you notice that it looks very familiar and the space seems to be identical to the regular SUV. The instrument console now sports a new intuitive display that relays battery charge and discharge information to the driver. You quickly learn what inputs charge the battery and when you are using the electric motor to assist in acceleration. The clever hybrid system works with the combustion engine boosting torque under acceleration and regenerating power when you are off the throttle or are braking. There is also a electric only mode that can be used for short distances like pulling silently into that posh hotel with just the tyre noise announcing your arrival. However, it works only if your batteries are fully charged. In our short drive there was little chance of experiencing the full electric mode, but under braking you could feel (through the pedal) and see (on the informative display) the batteries charging. 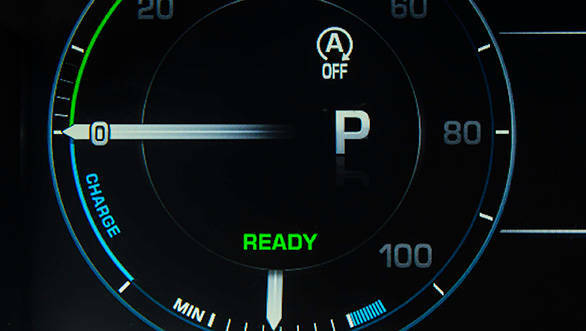 When stop start is functioning, the car actually moves forward earlier, even as the combustion engine is cranking up, as the electric motor sets the SUV rolling forward. A boron steel casing completely protects the electric motor from the elements ensuring that off-road capability and versatility is not compromised.